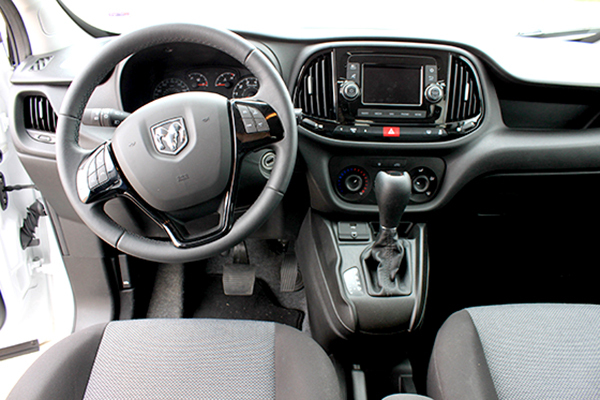 REVIEW: 2015 Ram Promaster City – Commercial Vans Are Good For Consumers Too? 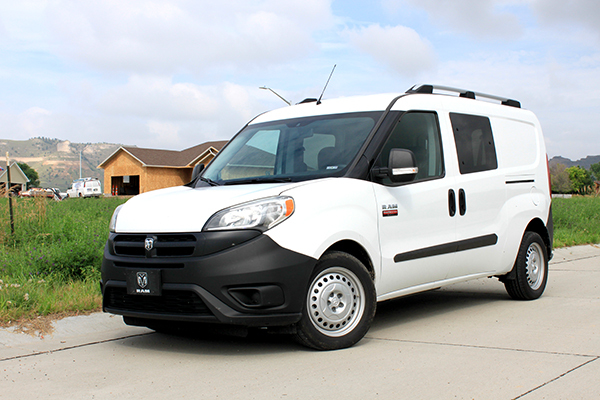 Smaller and a bit more nimble than it larger brethren, the 2015 Ram ProMaster City may not get the same level of attention from commercial buyers, yet it shouldn’t be so quickly discounted. With an efficient powertrain returning an EPA-estimated 29 mpg highway, an impressive 1,883 lbs of payload capacity and a base price under $25,000, this compact van offers much more than it seems at first glance and consumers are taking notice as well. We recently had a chance to test out the passenger variety and found it met many of our needs. 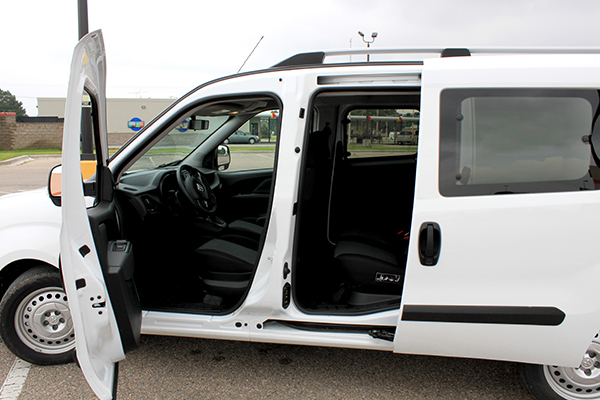 When Ram released the new ProMaster City during the 2014 annual “What’s New” event held at their Chelsea, Michigan proving grounds, it marked their re-entry into the compact van segment. This segment has seen explosive growth lately with the Ford Transit Connect posting its best-ever monthly sales of 12,134, an all-new 2015 Chevrolet Express City entering the fray and an upgraded 2015 Nissan NV200 with new SL trim package, highlighted by lots of chrome trim, fighting for sales. 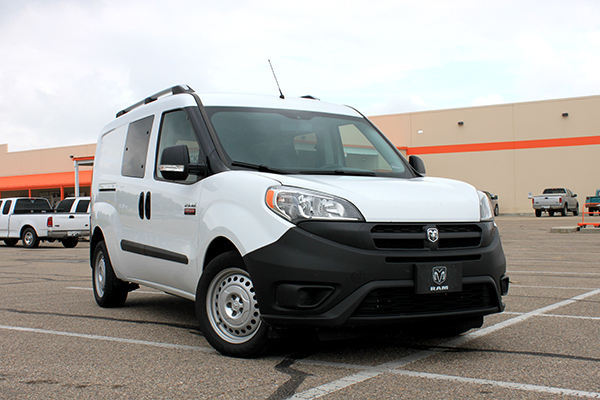 While both the Ram ProMaster City and larger van reign near the bottom in terms of sales, this segment can quickly switch based on large commercial orders and growing personal customer usage. Even though this van is largely suited for commercial applications, it is quite versatile and consumers are catching on with the many different ways you can use it. Notably, the larger vans including the M-B Sprinter vans are increasingly being used as long-distance family haulers or campers. 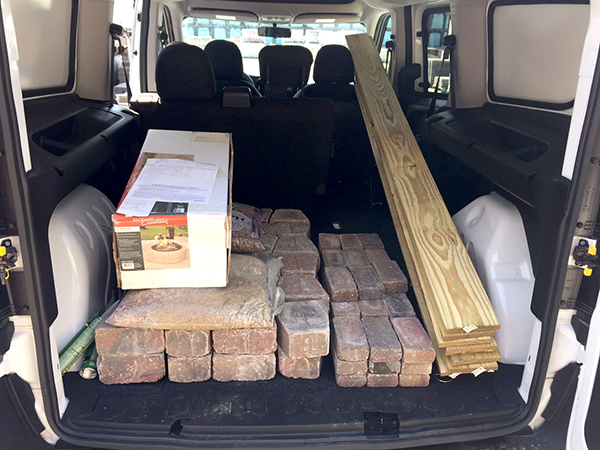 For us, during our week of testing it, we hauled nearly 700 lbs of pavers for a weekend project, used it as a family van with two car seats in the middle and as a daily driver. In fact, the more time we spent in it, the more things we envisioned doing like a weekend of camping with the option of sleeping in the back, a day at the lake, golf weekend with plenty of room to haul many sets of clubs and a long-distance road trip. The possibilities are pretty much endless for this little van. One of the first projects we decided to tackle with this van was the aforementioned weekend project of a firepit. Visiting the local home improvement store, the van stood out amongst a sea of full-size trucks and surprised the employees when we pulled around to load the nearly 700 lbs of paver stones. Opening the 60/40 doors and using the easy-release latch, we were able to fully access the rear without obstructions. Loading the pavers, with the lower loading deck, was a simple job. Impressively, the van didn’t sag as we kept piling on the weight. Loaded with our cargo, the van drove like it was empty without any notion we had nearly 50 percent of its payload capacity with the passengers and cargo. 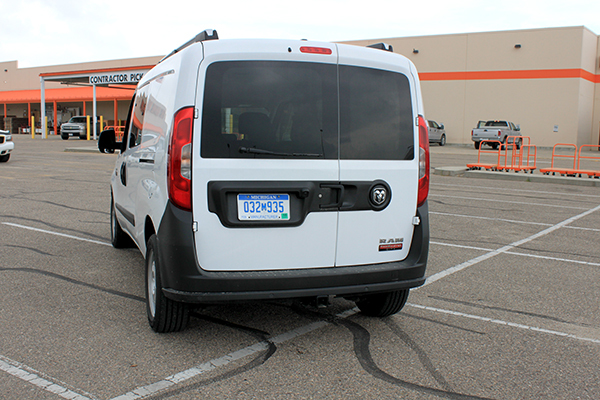 Toting around the family was another task the ProMaster was well-equipped to handle. 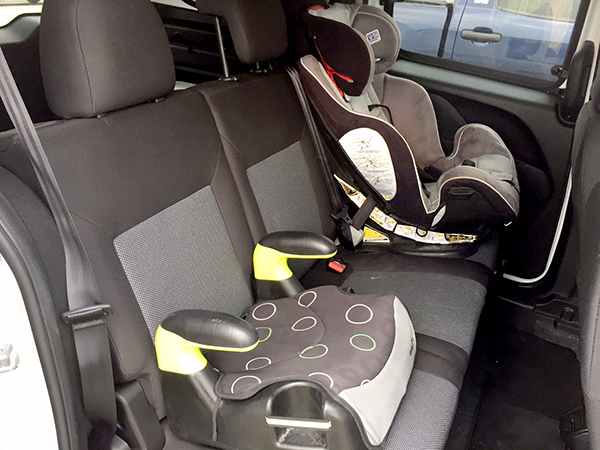 With seating for 5, we were able to fit adults in the front and two child seats in the rear. 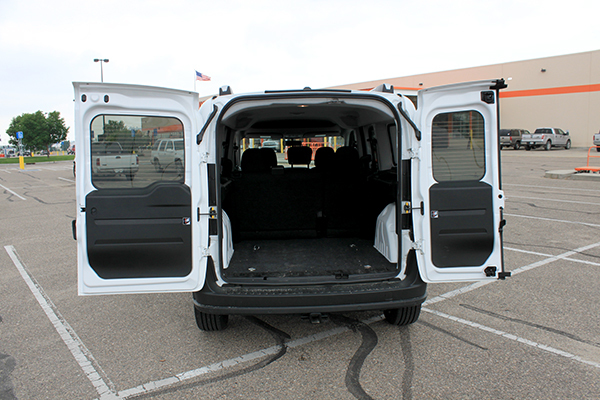 Plus, the rear cargo area was great for trips to the store with plenty of covered cargo room to keep items out of the weather. 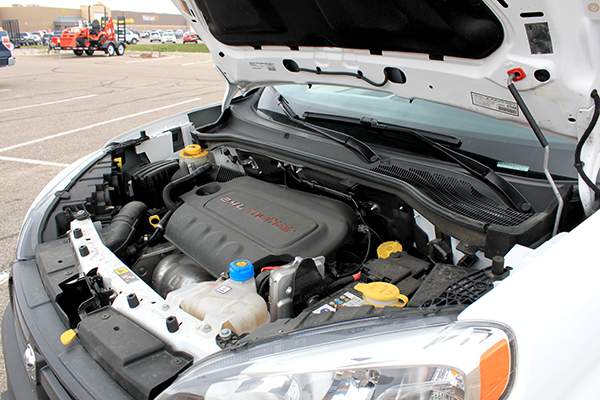 With this van being tasked for a variety of different jobs, Ram gave it a powerful and efficient powertrain in the form of a 2.4L four-cylinder mated to a 9-speed automatic transmission. This powertrain produces 178 HP and 174 lb-ft of torque which feels perfectly suited to its small size. 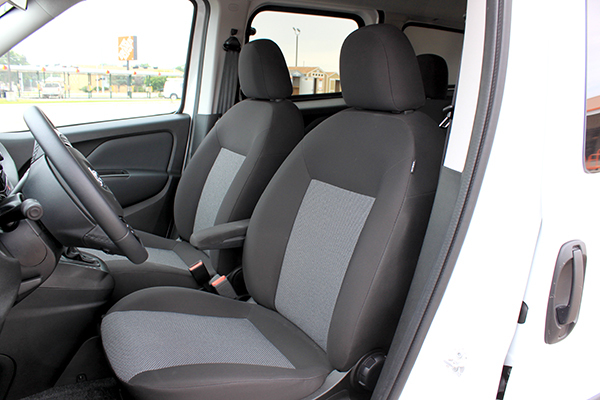 Driving around in it, the ProMaster’s wide stance gives it a very stable feeling cornering on a variety of surfaces. This stable feeling is offset somewhat by its rather harsh ride. This ride is to be expected somewhat with its being a commercial van, but it is also to be expected with the amount of payload the van offers. All vans make a compromise between ride quality and payload, the ProMaster is simply weight more toward handling payload than a smooth ride. 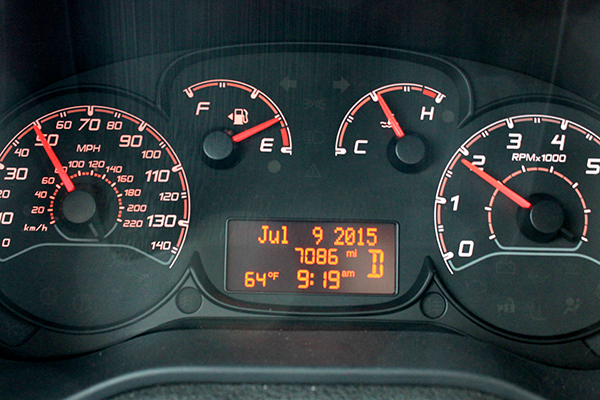 During our time testing, we put nearly 300 miles on the van and averaged around 24.5 MPG. This is a touch better than its EPA-estimated 21/29/24 mpg city/highway/combined. One of the thoughts recurring in our minds while we drove it around was how this van fit into the consumer vehicle segment. It certainly doesn’t have the makeup of a Chrysler Town and Country nor is it as powerful a full-size truck. Yet, with its base features, good fuel economy and base price, we could easily see it as an alternative to a mid-size truck. If you think we are nuts, consider this. A 2015 Toyota Tacoma has a max payload of 1,500 lbs (383 lbs less than the ProMaster city), about the same starting price in a double cab short bed setup ($23,075 vs. $24,130) and unless you have constantly hauling sand and gravel, the same cargo capacity if not more in the van (we carried six 1x6x8 long boards with no problems). Plus, equipped with a 3.73 rear axle, it tows up to 2,000 lbs (riding lawnmowers, small aluminum boats, some pop-up campers, etc…). For customers who commute to work, never leave the pavement and want a bare bones vehicle, what is the difference between this van and a mid-size truck with a cap? Not much. Another point in its favor is ease of entry and exit plus outstanding visibility. 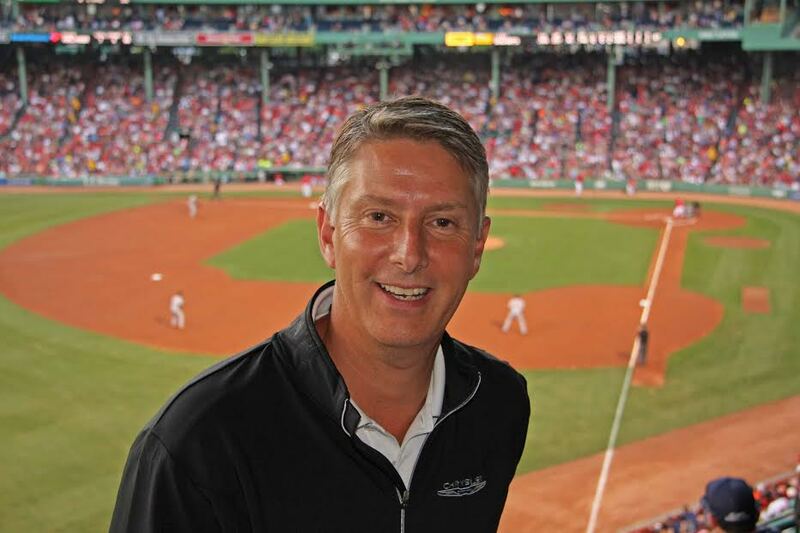 Both of these factors make it easy to drive and use for a large majority of the buying public. Now, sure, the ProMaster City doesn’t have the 4-wheel-drive capability (it is front-wheel drive only) of a truck nor does it have the “cool” factor, but the versatility of it grows on you. There is something to be said for parking the van with cargo inside and not messing around with a tonneau cover, cap or worrying about the weather. 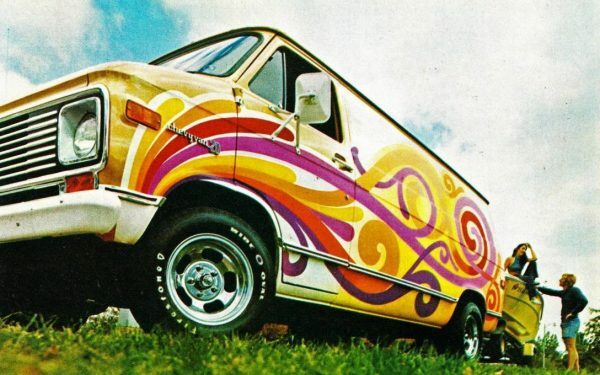 In the end, these vans remind us of when the old VW Bus and camper vans ruled the landscape. Those vans were cheaper, offered plenty of cargo room and were pretty versatile. We even had one campervan rental company tell us, they were looking at the ProMaster City to replace their aging fleet of VW Buses. Seems like a perfect fit to us.